Probate can come with a few difficulties! Probate is the formal application that is made to the Court after a person has died. The purpose of the application to the Court is to establish the validity of the Will of the deceased so that the Executors named in the Wil,l can start the process of administering the deceased’s Estate. This administration includes paying any debts of the deceased, gathering in the assets of the deceased and distributing the assets to the beneficiaries named in the Will of the deceased. Sometimes difficulties can be experienced with Probate. The first difficulty that may be encountered by loved ones of the deceased is, locating the deceased’s Will so that an application for Probate can be made to the Court. If no Will can be located, then it becomes necessary to prove to the Court that extensive searches for a Will have been undertaken with no success. If this can be proved then the Court can grant Probate to an elected Executor which will allow the deceased’s Estate, to be distributed in accordance with the Laws of Intestacy. The Laws of Intestacy govern how a deceased’s person’s assets are to be distributed in the event that they die without a Will. If a loved one has died and you are having trouble locating their Will, it is a good idea to seek expert legal advice on how to proceed so that a Grant of Probate can be made by the Court. The second difficulty that may be encountered, whether the deceased left a Will or not, is the actual application to the Court for a Grant of Probate. The Probate application is quite procedural and contains many formal documents that need to be filed with the Court in support of the Probate application. These documents include an inventory of the deceased’s liabilities and assets as well as formal statements from the Executor of the Estate called an Affidavit. A failure to properly complete and file all the Probate documents with the Court can slow down the Grant of Probate which is why it is imperative to have a lawyer acting for you and drafting these important documents. 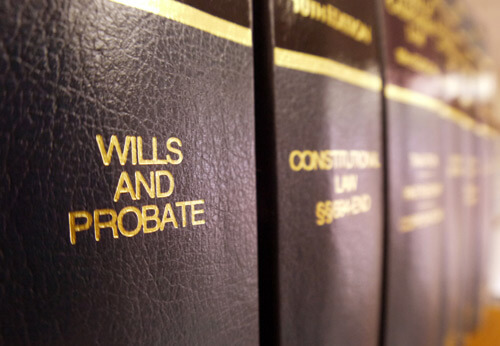 The third difficulty that may be encountered with Probate are challenges to the Will of the deceased. Will challenges can be based on a number of grounds including a family provision claim where a person contends that they should have been provided for in the deceased’s Will or a challenge to the validity of the deceased’s Will on the grounds that the deceased did not have the legal capacity to make the Will or that they made the Will under duress. If you encounter any of the above challenges with Probate then you need to seek expert legal advice from a Wills and Estate lawyer on how to ensure that a Grant of Probate is made by the Court quickly and professionally. Graeme Heckenberg is an expert Wills & Estates lawyer and guides and advises clients on a wide range of Wills and Estate matters including Grants of Probate and any difficulties experienced with Probate.